This statistic shows a distribution of retail spending in Germany, by channel, in 2013 and with a forecast for 2018. 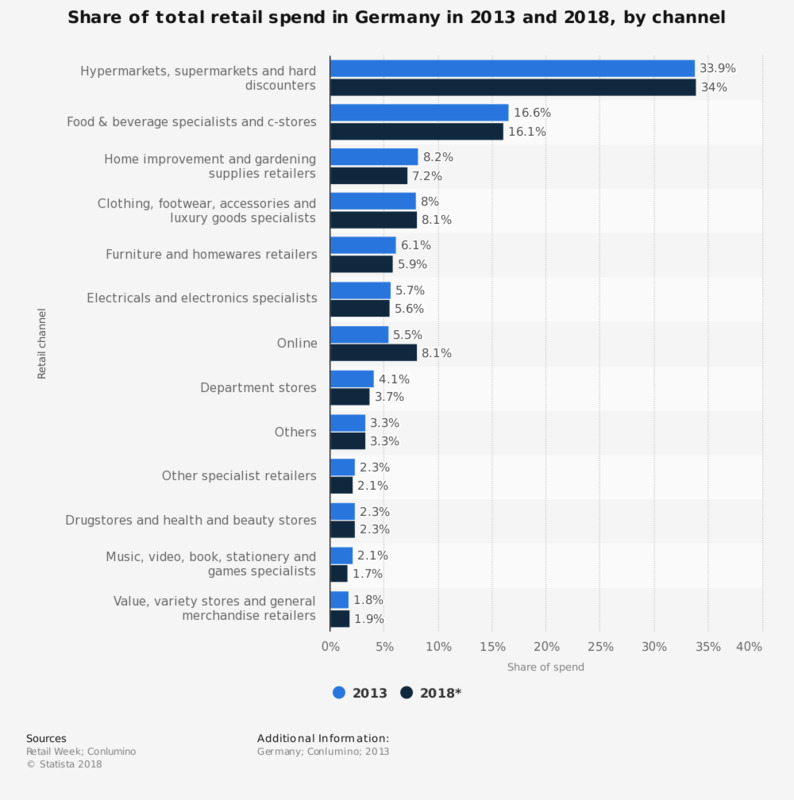 Hypermarkets, supermarkets and hard discounters are the most common retail channel used in Germany, accounting for 33.9 percent of total retail spend in 2013. However spending through online channels is expected to rise, with the online share of spend reported to increase from 5.5 percent in 2013 to 8.1 percent by 2018.